We've created a list of strategies that will help you increase your nonprofit’s revenue so that you can not only stay in operation, but thrive. For nonprofit business owners, finding money—and finding it on a regular basis—is a constant worry. According to U.S. Census Bureau data, of the nonprofits that started in 2005, only 43 percent of these firms still existed in 2010. Common reasons cited for failure include lack of capital, a misunderstanding of the market, and a faulty model of how to attract and maintain that market. In this article, I’m going to provide you with a list of strategies that will help you increase your nonprofit’s revenue so that you can not only stay in operation, but thrive! If you have any of your own revenue-generating strategies to share, please leave a comment—I’d love to hear your thoughts! A benefit event is a special event held to raise money for a cause or charity. Barring event expenses, all proceeds are contributed to the aforementioned charitable institution. The Mohawk Valley Metric Century—a bike ride event in Eugene, Oregon—is an example of a benefit event held annually to raise money for Oregon Supported Living Program’s Arts & Culture Program. For nonprofits worldwide, benefit events provide an excellent source of revenue, especially if done in partnership with corporations. Not only can companies with larger profits help spread the word of your organization, but they can also help take care of some of the bigger expenses like event rental, catering, and so on. If you get the right partners on board, it’s a win-win situation! If you’re looking for even more ideas, check out this list of over 60 unique fundraising ideas. To further the revenue your event brings in, consider offering a raffle (perhaps ask sponsors to contribute prizes), branded merchandise available for sale, food that can be purchased, or other services provided by volunteer vendors. If you’re targeting millennials, you may want to think “active.” According to Millennial Impact, 64 percent of millennials prefer to fundraise through walking, running, or cycling events. Be sure to consider your target audience, and to segment appropriately. It almost goes without saying, but if you want to raise money, you need an online presence and a social media presence in particular. 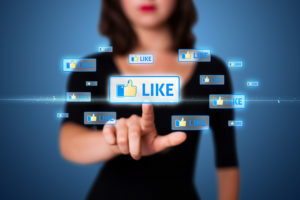 According to a survey conducted by Waggener Edstrom, more than 55 percent of those who engage with a nonprofit via social media take an action. Of those who take actions, most—59 percent—donate money. Other actions include taken include volunteering, donating food, clothing, or personal items, attending a charitable community event, purchasing a product to support the cause or charity, and so on. If you’re short-staffed in terms of dedicating manpower to digital strategy, you’re in the same boat as many nonprofits. Consider limiting the number of channels you use to focus on the ones that give you the most bang for your buck. For nonprofit communicators, Facebook was the most important social media channel, followed by Twitter and then YouTube. Social platforms offer you a great opportunity to engage your audience with different types of content, to keep potential donors and volunteers up-to-date, and to recruit new donors. The Capterra blog has some great tips on how to do this. In 2013, public charities reported that 21 percent of their revenue came from contributions, gifts, and government grants, while 72 percent came from program service revenues (including government fees and contracts). While grants should still play a part in how you generate revenue, they should not be the only part. In fact, in line with statistics, Nonprofit Hub advises that just 20 percent of funding be grant-based. Any more than that and you risk sinking your organization if a grant application falls through. Building those key, local relationships first will help you win regional and national funding support later. Did you know that volunteers are twice as likely to donate money to charity than non-volunteers? 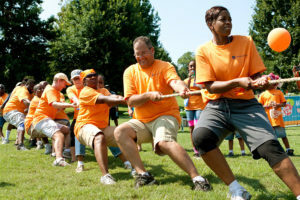 The Corporation for National and Community Service states that nearly 80 percent of volunteers donated to charity in comparison to 40 percent of non-volunteers. When you consider how much more likely it is for someone to donate to your charity if they feel involved, the statistics are not really that surprising. By providing ample volunteering opportunities, you give people a chance to feel like they are part of something bigger than themselves. You’ll also have a chance to show them how their work impacts your organization and the mission, keep them abreast of what is going on, and involve them in organizational planning activities. These are all things likely to foster a positive relationship, and increase the likelihood that these volunteers will also continue to be among your most outspoken supporters. 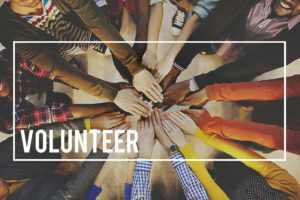 The top four national volunteering activities include fundraising or selling items to raise money, food collection or distribution, general labor or transportation, and tutoring or teaching. If you’re interested in learning more about volunteerism and charitable giving, read this excellent study summary. In 2014, Forbes reported that of the $5 billion spent on crowdfunding campaigns, 30 percent went to social causes. If, as CraigConnects states, the average nonprofit crowdfunding campaign raises $9,237.55, can you really afford not to consider setting up your own campaign? In comparison to a fundraising benefit, organizing an online crowdfunding campaign is much easier and more affordable. Furthermore, a crowdfunding campaign will be working to raise money for your cause 24/7, and for as many days as you leave it running, or until you meet your goal. That said, slapping up a campaign and hoping whatever platform you place it on will do all the work for you is not your ticket to success. As with any fundraising event, thoughtful marketing and outreach activities are needed to drive success. This may mean crafting a social media campaign, sending out flyers to let people know about your campaign, or asking volunteers to help you promote it. There are also a wealth of crowdfunding do’s and don’ts freely available online. For example, fundraisers who include a video on their campaign site raise twice as much as those who don’t. Campaigns also tend to do better when funding goals are realistic, and when organizations thank their donors every single time they donate, no matter the size of the donation. In fact, CauseVox has compiled a fantastic free eBook on How to Plan a Nonprofit Crowdfunding Campaign. If you want to find out more or get started on your own, it’s a highly recommended read. If you want to increase how much your average donor gives, consider implementing different giving levels. It’s not just the research that says this is a successful tactic, but basic human psychology. As social beings, we take our cues from others. When suggested giving levels are put in place, donors have a much better idea of how much is “appropriate” to give. According to Sugden’s reciprocity model, how much an individual contributes can be influenced by seeing how much others contribute. 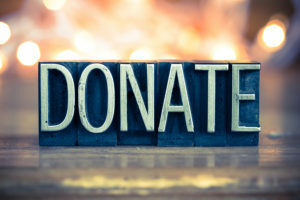 Websites like Livestrong include a donor page with suggestions for how much to give, from $25 to $1,000, as well as a box labeled “other” so that a donor can choose their own amount. The goal ultimately is to get people to give more than they would ordinarily, without entirely removing the option for them to give what they personally wish to give. That said, “giving levels” must be realistic and relevant to the campaign in question. Average donation amounts from previous years are realistic starting points. Whatever you do, you don’t want to turn people off from giving, so be sure to play it carefully. Ready to implement these strategies? Now you’re equipped with information to help you boost your nonprofit’s revenue, it’s time to put your ideas to paper. Take a look at our library of free sample business plans—this will give you insight into how other nonprofits construct their strategy.